At Bardens we understand that starting a new tenancy can be very expensive. Most Tunbridge Wells letting agents make tenants pay an administration fee, a check in or check out fee (or both), a fee for referencing and there are often other costs to pay too. At Bardens we have a completely different approach and have cut these up-front costs to ZERO so that our tenants can focus on paying the rent, the deposit and their moving costs. Please see below for the full breakdown of our tenant fees. We believe that by eliminating these up-front fees tenants are left in a much stronger financial position and this reduces the risk of missed rent payments once the tenancy has started – a reduced risk that our landlords appreciate too. We are also aware that many tenants worry about the safety of their deposit. The deposit is often the equivalent to 6 weeks rent and can be more, which is a substantial figure for tenants to raise before a tenancy can begin. At Bardens we make sure that all of our tenant deposits are protected in the government approved Deposit Protection Scheme (DPS) so that they can be confident that their money is safe. At the end of the tenancy the funds are only released by the DPS when the tenant agrees with the landlord on how the funds are distributed. If a tenant has a dispute with their landlord, the DPS can also give advice on how to resolve the problem and on the tenant’s options. This fee is non-refundable if references are unsatisfactory, you withdraw, fail a credit check, fail to disclose information which leads to the refusal of the tenancy, or the tenancy agreement is not signed within 14 days. If the tenant is approved, the reservation fee will be used as a down payment towards the first months' rent. Bardens zero up-front tenant fees sound too good to be true – where is the catch? There is no catch! We feel that traditional Royal Tunbridge Wells letting agents charge tenants fees that are much too high. Our approach is completely different. We absorb most tenant admin costs ourselves by running a very efficient estate agency business. You will see from the detailed tenant fee breakdown that fees are only charged when something goes wrong with a tenants application, for example they fail a credit check, or when they vacate a property early in breach of their Tenancy Agreement. A tenant who successfully clears the credit/reference checks, and then follows their Tenancy Agreement can expect a fee free run – we do not even charge renewal fees if a tenant wants to renew their tenancy for another term. What minimum criteria do I have to meet in order to secure a property? Please remember that the reservation fee is 50% of the monthly rent, and that it is non-refundable should references prove to be unsatisfactory, you withdraw, fail a credit check, fail to disclose information which leads to the refusal of the tenancy, or the Agreement is not signed within 14 days. Providing these tests are passed, the reservation fee will count towards your first months rent. All occupants aged over 18 years must be named on the Tenancy Agreement. Each Tenant will be referenced for an equal share of the total rent payable for the property. Prospective Tenants must each complete an application form and provide proof of ID and proof of address, this should be in the form of a passport and utility bills (one under 4 weeks old and one dated between 3 & 6 months old). If a Guarantor is necessary, they will also be required to sign the Tenancy Agreement and provide identification. What about the Right To Rent Act? How much money do I have to pay before the Tenancy begins? We ask that you pay the first month’s rent in advance (note that half of this will come from the reservation fee). We also ask for the deposit to be paid in full before the Tenancy begins. We normally ask for one and a half month’s rent as a deposit. If the landlord has agreed to let you keep pets this normally increases to two month’s rent. What happens to my deposit once I pay it to you? Your deposit will be held in the Deposit Protection Scheme (DPS) for safe keeping. This is a government approved scheme that protects your deposit for the duration of your Tenancy. At the end of your Tenancy no money will be paid to the landlord unless you agree to the payment. The DPS can give advice in the unlikely event that you and your landlord dispute the distribution of the deposit when the Tenancy ends. Your monthly rent is due on the date that you move into the property; i.e. if you move in on the 28th of a month, your rent will be due on 28th for the following months. Please note that standing orders need to be set up 2-3 days prior to the rent due date. Rent payments must be paid by ONE Standing Order per tenancy. Your tenancy agreement will state who and where you pay the rent to. If rent is late you may be charged interest and you may jeopardise your tenancy. As a tenant you are responsible for your own contents insurance. The Landlord is responsible for the buildings insurance. What happens at the Inventory Check-In? An Independent Inventory Clerk will be present at the agreed time to check the property, take the meter readings and hand over the keys. If the Tenant (or his representative) has not been present at the check-in, then it must be accepted that the Inventory Clerk’s signature on the Schedule of Condition is binding. Any discrepancies should be brought to Bardens notice within 7 days. You may not move any of your belongings into the premises until the Check In procedure is complete and you have been handed the keys and you may not receive the keys any earlier than the first day of your tenancy. What happens at the Inventory Check-Out? The Tenant will be advised of time and date by letter. All possessions must be removed from the property and the house and garden ready for checking by the time stated. Properties may or may not be professionally cleaned prior to the start of the tenancy, but you are required to carry out a professional clean at the end of the tenancy at your own cost. If you are expecting your property to be professionally cleaned at the start of the tenancy you should ensure that this has formed part of your offer to rent the property. Are utilities and Council Tax included in my rent? Gas, oil, water, electricity, council tax and tv licence are not included in the rent and are the Tenants responsibility. The Tenant may not change the supplier for gas, electricity or telephone without prior written consent from the Landlord. Such permission cannot be unreasonably withheld. If permission is not sought, card meters installed or utilities not changed back to the original supplier prior to the end of the Tenancy, an administration charge of £100.00 incl VAT will be made. At the end of the Tenancy, Tenants should take meter readings and contact utility companies. No animals (including caged animals) birds or reptiles may be kept on the premises without written permission from the Agent and/or Landlord. Such permission cannot be unreasonably withheld. House, Carpet and Curtains must be professionally cleaned at the end of the Tenancy – sight of invoices will be required at check out. Note that keeping a pet at the property will usually require an additional pet deposit (also held at the DPS for safe keeping). Can I remove the Landlord’s items from the property? The Landlord’s effects may not be removed from the property or stored in a garage, cellar or outhouse. The Tenant must obtain written consent before changing anything at the property. How often do you carry our maintenance visits? Where Bardens are managing the property the maintenance visits will usually be made quarterly. Additional maintenance visits maybe necessary and we will give at least 24 hrs notice unless in an emergency. Can I decorate the property or make changes? A tenant can only decorate or make changes to the property with the express permission of the landlord. We recommend receiving this permission in writing. Is the TV point working/can I get Sky TV/is there a working landline/is there a working internet connection? Properties are taken as seen. You should not assume that aerials, satellite TV, TV points, and phone lines are connected. Connection to BT can take up to 14 days and could be a Tenant cost. An internet connection can also take several weeks to set up and tenants will need to allow for this. The landlord is responsible for maintaining the property in a good state of repair, either directly or through us. If you do damage to the property you are expected to cover the cost of any repairs. What is the landlord isn’t keeping to their requirements/obligations in the Tenancy Agreement? If a tenant believes that a landlord isn’t keeping to their side of the agreement, for example not maintaining the property properly, then we recommend that the tenant contacts Bardens and we will speak to the landlord on their behalf. We have a duty of care to our tenants and we will do what we can to help. Alternatively the tenant can find independent advice from The Citizens Advice Bureau. What requirements/obligations do I have as a tenant? 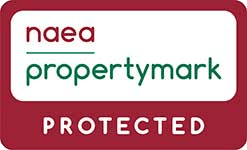 Must keep use the property in a ‘Tenant like manner’, this means keeping the property secure, clean and looked after and ensuring any garden is kept tidy. Should report any faults or repairs promptly. Utilise the property such as not to cause interference, annoyance or detriment to neighbours or neighbouring properties. Permit access to the landlord (or Bardens) for repairs or inspections during reasonable hours providing adequate notice (at least 24 hours) has been given. Deliver up the property at the end of the tenancy in a sound and professionally cleaned condition. Subject to reasonable wear and tear, ensure any damage or alterations are rectified. Accept responsibility for the repair of any damage that may be attributable to you, your family or your guests misuse/neglect. Can you recommend a cleaning company, a carpet cleaner or other trades person? Yes! We know some great local trades people and are more than happy to give you their details - please just let us know what you need. It is always your responsibility to pay the rent. However sometimes your circumstances may change, for example you could become sick so are unable to work. If you are struggling to pay your rent each month we recommend that you speak to us or your landlord to see if we can help – do not let your arrears pile up. Sometimes Bardens or your landlord can help to reschedule your payments, but this is usually only an option if you speak to us early.